Allow yourself to be pampered with this truly relaxing, luxurious facial. Using only the highest quality Neal’s Yard Organic products you will be swept away into an exquisitely scented world of pure indulgence. 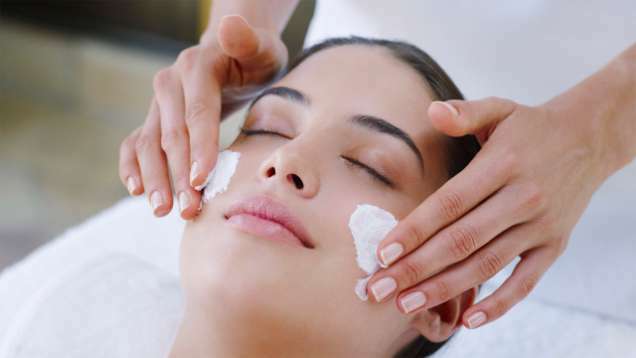 Starting with a gentle arm, shoulder, neck and scalp massage your face will be deeply cleansed and exfoliated. Following heavenly scented Moroccan Rose hot towels, a rejuvenating Frankincense firming mask will be applied and you will be guided through a relaxing, healing visualization. Following on from this, using your choice of facial oil, key reflex points will be stimulated to further aid the release of tension in the facial muscles and jaw. Finally, toner, firming serum and eye cream will be applied along with a light moisturiser and you will leave feeling relaxed, rejuvenated and radiant! Facials last 50 minutes. Price £50 (available in Stroud only).